September is National Sewing Month: for Sewing Buddies! I learned in college that there’s a “national day/week/month of…” for almost everything. Did you know there’s a National Celery Month? Yes, there is. 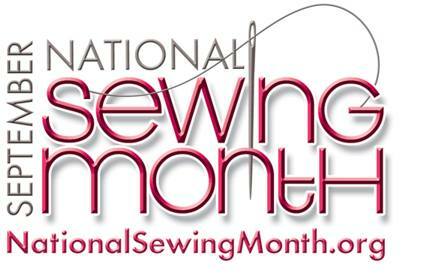 Some of these observances are pretty wacky, truthfully, so over the years I haven’t celebrated National Sewing Month. With Whipstitch open as a free-standing shop this year, though, I’m curious to see how it fits in. It occurred to me that this might be something for Sewing Buddies to take a hold of and run with! So, Sewing Buddies: let’s say there’s one month out of the year when we all set aside a little time to honor and celebrate sewing, to promote it to both stitchers and non-stitchers alike. How’s about some suggestions of really useful, cool ways to do that? I’m thinking if we can get some great ideas brewing here, maybe Whipstitch can set a goal in 2011 to make some of them happen. I’m especially curious to hear some Buddy ideas that involve both of you, but let’s not limit ourselves! No Buddy this year? No problem! Maybe you’ll have one in 2011, or maybe you just have a faboo idea and want to offer it up. Awesome. Hit me with your wackiest, funnest, coolest, most inspiring, most inspired ideas for ways that we can all promote and celebrate the practice of sewing. My big idea is the Sew-A-Thon, because I love a challenge. Let’s fill up the 2011 calendar with some of YOUR very cool ideas and see if we can’t make sewing something we celebrate for an entire calendar year! That’s darling! Love the detailing–reminds me of the antique machine we have in the shop.